Introducing ManageEngine SupportCenter Plus, a 100% web-based customer service and support solution that offers Trouble Ticketing, Account & Contact Management, SLA Management and Knowledge base in one low cost, easy to use package. It helps you track and resolve customer issues quickly, thereby delivering superior customer support and taking customer satisfaction to the next level. 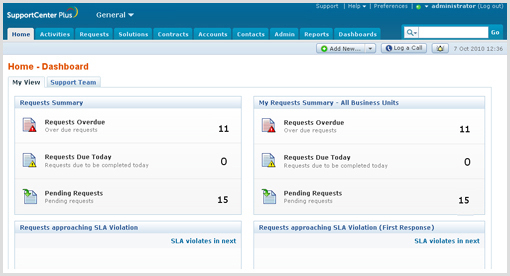 Reduce Support Load wit Self Service Portal. Track & Manage issues effectively to ensure customer satisfaction. 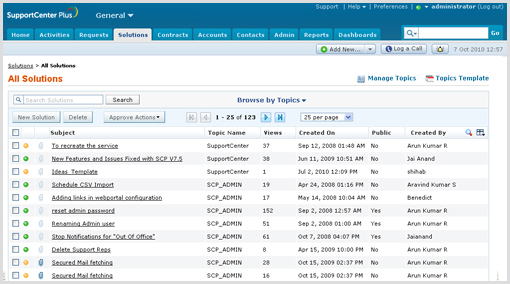 Empower Support Reps to handle issues with searchable knowledge base. Manage multiple contacts and accounts. 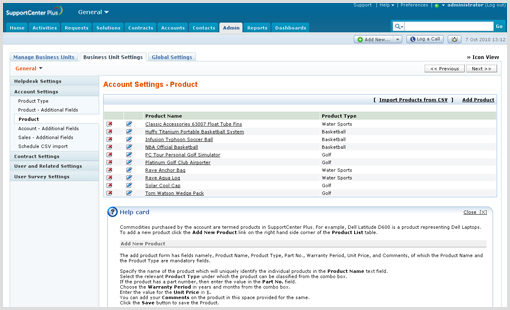 Track product details with the product catalog. Reduce call volumes with a Web0based self service portal where customers can search the knowledge base, submit a request or check the status of their open requests. Empower your Support Reps with easy access to answers with a web-based searchable knowledgebase and enable faster problem resolution. A robust and easy-to-use help desk that helps organizations automate their customer support processes to deliver consistent, reliable and superior service to their customers. Track and manage all your customer accounts and contacts to improve customer relationships. 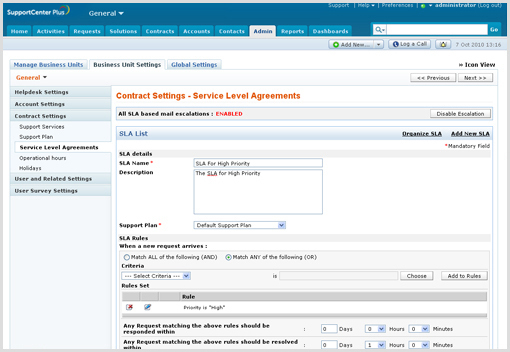 Improve customer satisfaction with defining proper service level agreements, monitoring SLA compliance and escalating SLA violations. Empower your support reps with instant access to all customer product information as well as allow customers to track and manage details of the products they have purchased.